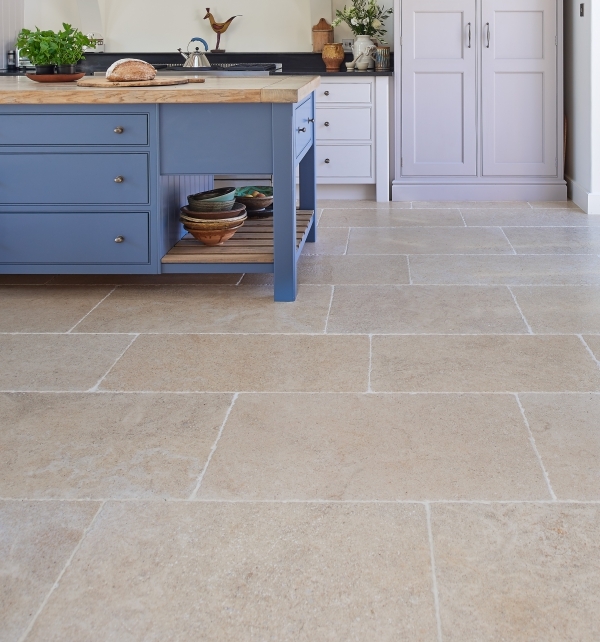 To view the Spanish Pattern Layout, please scroll down to the Design notes. 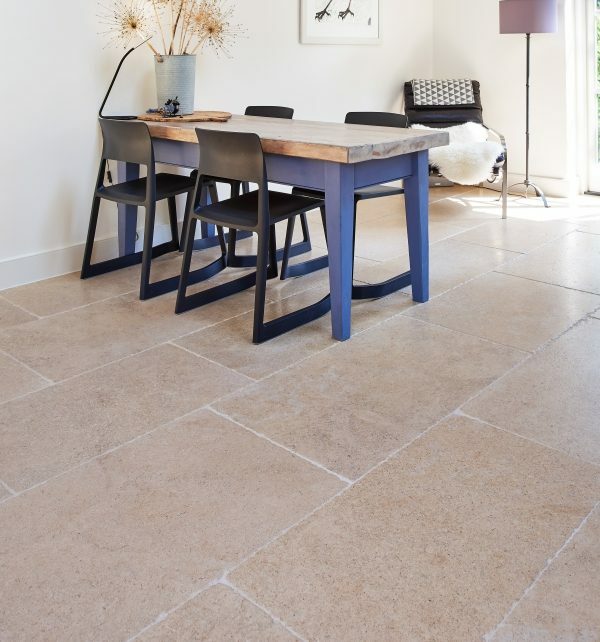 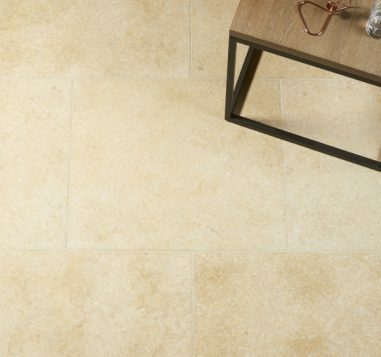 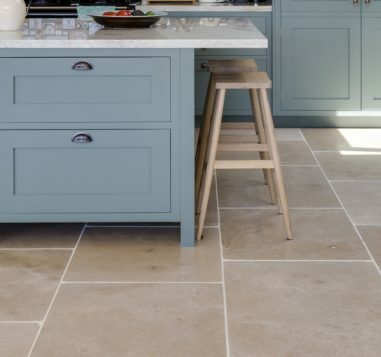 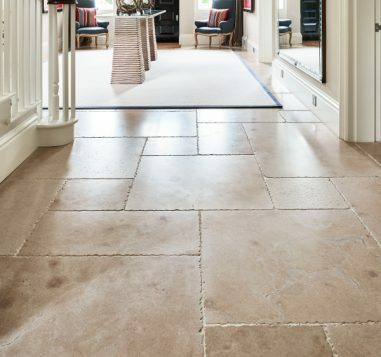 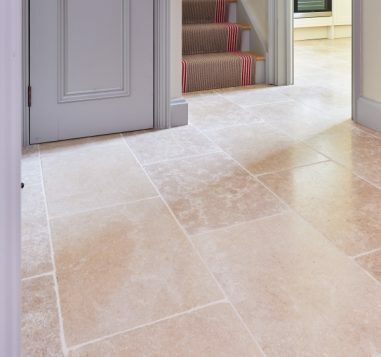 Very English-looking, honey-coloured, hard-wearing, rustic limestone in large format flagstones but only 1.5cm thick. 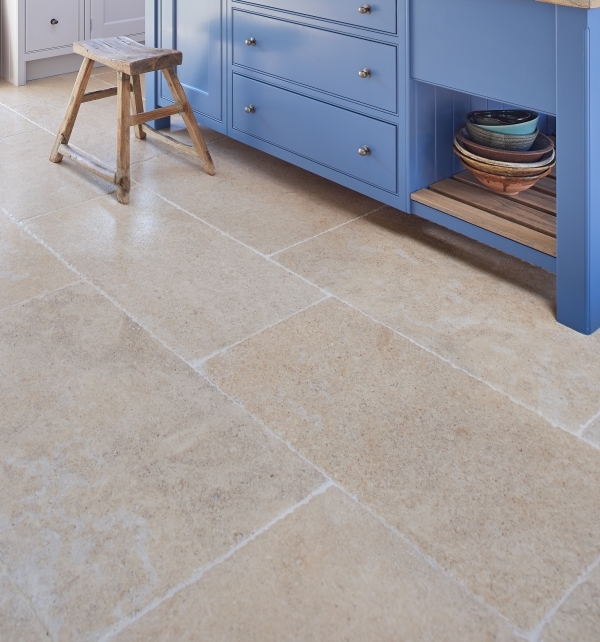 The tumbled finish gives instant charm.